I’ve decided to write – every day for 100 days- thoughts, news and stories as they come. This is in memory of Channthy but also to contineu to draw your attention to our need to fundraise and support for the young family Channthy leaves behind. This post describes some of our own history of working to finance and make CSP possible along the way, and as Channthy so succinctly put it in song, it’s “Not Easy Rock’n’Roll”. Click here to support Kak Channthy Memorial Fund. 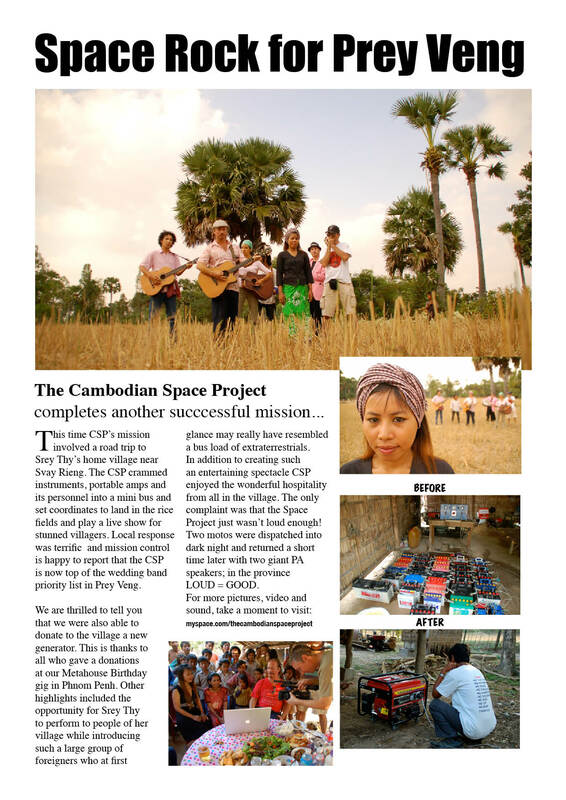 When I look back on how the Space Project literally took off….first across the dusty highways of Cambodian and then, almost as quickly as we gathered momentum in Cambodia, we had set the co-ordinates to ‘go global’. I mean, why not?! I could easily see the potential and it was not so much joining and competing with other culture-fusion acts who’d already achieved international recognition – Dengue Fever to Go Go Bordello etc – but for the simple reason of giving a voice to the voiceless – giving Channthy then Srey Thy all the support and encouragement that she could get and jettisoning this charming young Cambodian karaoke singer into outta space! the international arena. This was of course a noble idea but it was going to take money, planning and management – three things we didn’t have – to make this dream a reality. I could also see that to really make CSP a success – to have some meaningful impact beyond simply being a poptastic! 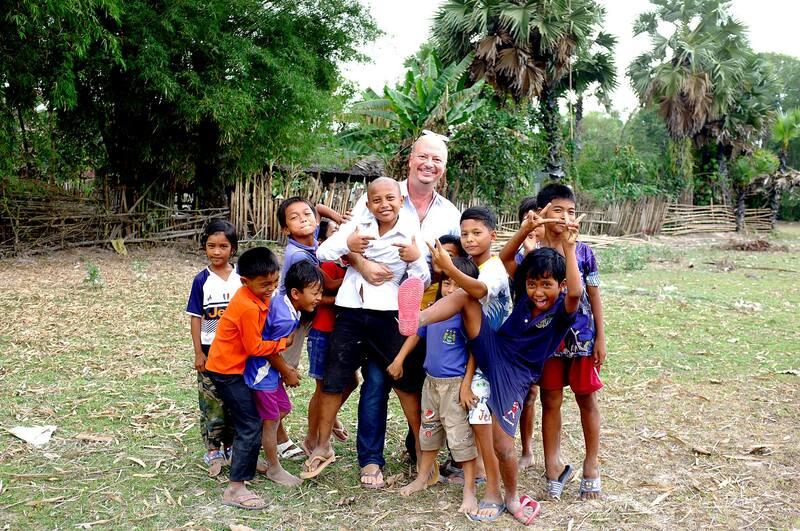 band of gypsies out from a holiday in Cambodia…then we’d also need time. I’d need to emphasize to each and everyone involved that the CSP would be a collective… a band but one that operates as a kind of musical carousel where individual members could hop on or off depending on what suited them best. 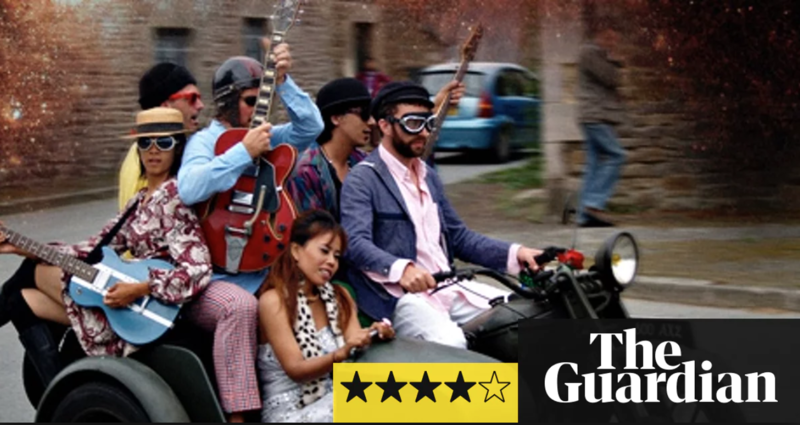 From virtually the first show onwards, CSP was more than just a team of musicians, it included writers, filmmakers, designers, artists, groupies and family members all onboard for the ride – it was fun! We’d found our flying crew but the real challenge was “if we were going to go global… who was going to pay for it?”. I personally had limited resources at the time, I’d spent the last year on little to no paid volunteer jobs such as working as a Media Designer in a prison in Timor-Leste but what I did have was some professional experience in producing albums and touring with bands…. to tell you the truth… the last thing on my mind was the idea I’d be back…treading the industry boards of the music biz with a brand new band…been there, done that and didn’t like it (the music industry) much. But this was different, the music, the history, the singer, were all compelling reasons to get to work, make it happen. We were missing the d in fundraising and needed to raise a bit more cash than the gigs at bars and guesthouses could deliver. We’d also need to demonstrate the awesomeness of what CSP was doing…. create an image, make and release a few recordings, shoot some video, fly it all to market. Our press kit started to take shape… a hilarious, impromptu photoshoot with the band on top of coastal Kep’s town monument – the Giant Crab! It’s a great image and what was even funnier about this is that just seconds after the camera’s shutter clicked… a hot tempered local police man sped to the scene on his motor scooter and demanded we all get down from the crab immediately. Not long after this photo the crab was moved to a new location further out to see… you see, the photo ran in local papers and even scored us our first big write up in the South China Morning Post but obviously influenced many others to hop up atop the Kep Crab for photo opportunties… we’d found fame through our image alone! 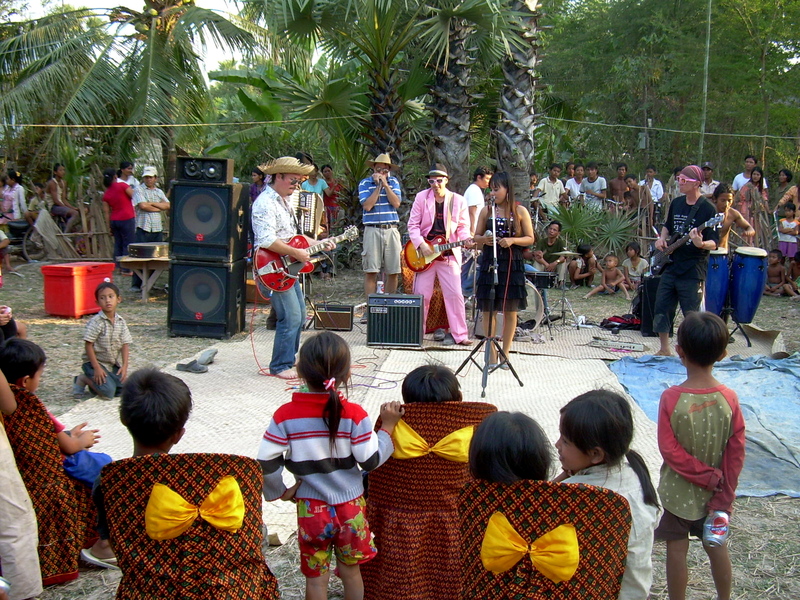 but how would we get the famous flying crab band out from coastal Cambodia and onto other shores? The answer was simple, we’d each have to buy a ticket on our own bus… if we believed in this we’d make it happen. So thing thing was to call a meeting, check for the willing and the able and purchase flights to Hong Kong… we’d work out Europe, UK, Australia, USA and anywhere else that would have us after achieving a successful landing in Hong Kong. Space Mission 1 including Channthy, Gildas, Scoddy, Gaeten, Ken, Irene, and myself, a seven piece band plus a couple of videographers, Marc Eberle and KM Lo who’d both seen the potential in CSP’s image and story unfolding. CSP’s 2011 tour to Australia was really the first occasion for the band to become ‘professional’. We’re prepared a press kit, had gigs booked through professional agents and even a date to perform at Mona Festival – in it’s first year in Tasmania. All this was incredibly important – if we were going to keep doing this then let’s do it properly! What’s more Channthy and I had decided to get married and we married in my home town Hobart, Tasmania, not long after our first Australian tour reached it’s finale with the Mona Foma Festival performance – right on stage in the middle of Salamanca, Hobart. The Mona Show is memorable for many reasons, not least the fact that it was something great to be a part of and for Scoddy and myself, to celebrate landing back in hometown Hobart with our now awesome (yes, well played in after a run of dates up and down the coast of Australia) Cambodian Space Project. Family and friends had gathered side stage and even an ex-wife of Scoddy’s was waiting with divorce papers in her hand… the moment we finished our last song and the finale note rang out… Scoddy’s ex came side of stage “Hey…. great gig! now can you please sign this”. It struck me that CSP was indeed a family affair…all sorts of things going on stage and off stage… a legal witness to the divorce document singing was required so in stepped my own brother Duncan, a registered lawyer to ink the sign-off. The next legal witnessing and signing we were all involved in was my marriage to Kak Channthy. 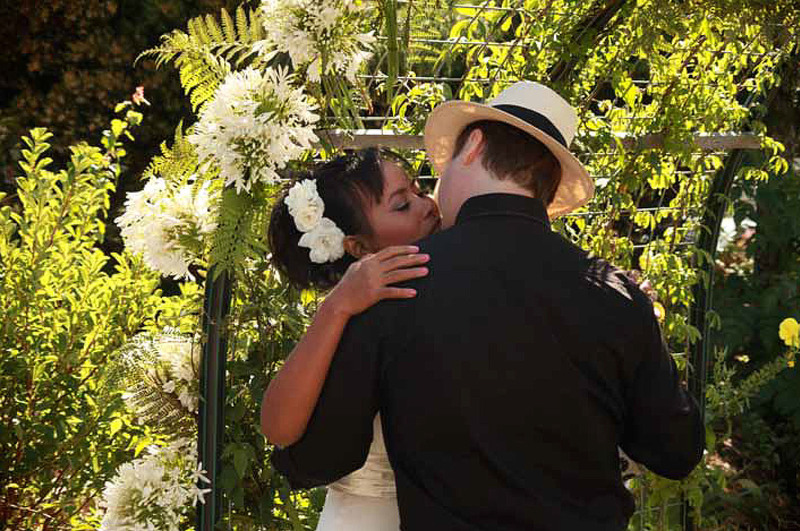 Our wedding was a private affair, a real contrast to the BIG weddings of Channthy’s Cambodia but it was “now or never” for me and what better chance would there be to reach Australia and legalise our marriage than by flying out to Tasmania with the CSP. A small group of family and friends joined us in the garden of my Auntie Robyn’s house and we even performed a little tune that the CSP almost always opened with – it became a tradition – that we knew as being titled “Happy Marry”. Right after our wedding we had a fews off then we were already contemplating a massive trip ahead, one that would take Thy and I back to Hong Kong, through Southern China, over to Austin Texas and across the USA then all the way back to Cambodia where we hoped to settle into normal married life… but that idea was to be far from normal… along the way I was telling Thy, “Hey… what a honeymoon… all this amazing travel huh?” and while there were some wonderful moments where she couldn’t have a agreed more… and more about this later… there were also times when she was tired and would respond to this statement of mine with “this NOT HONEYMOON Bong… this work… work too much”. And I could also slip into her shoes and understand where she was coming from… we worked hard and had little money. Our official first work at Fundraising via the CSP began right after our own wedding. Guests had turned up at a little soiree at Mum’s place the following day… friends of the family brought cards and gifts of cash towards our life together and we used this money both for our travels to promote our work in USA and more so to set Thy’s young brother Lenny up with a Tuk Tuk. 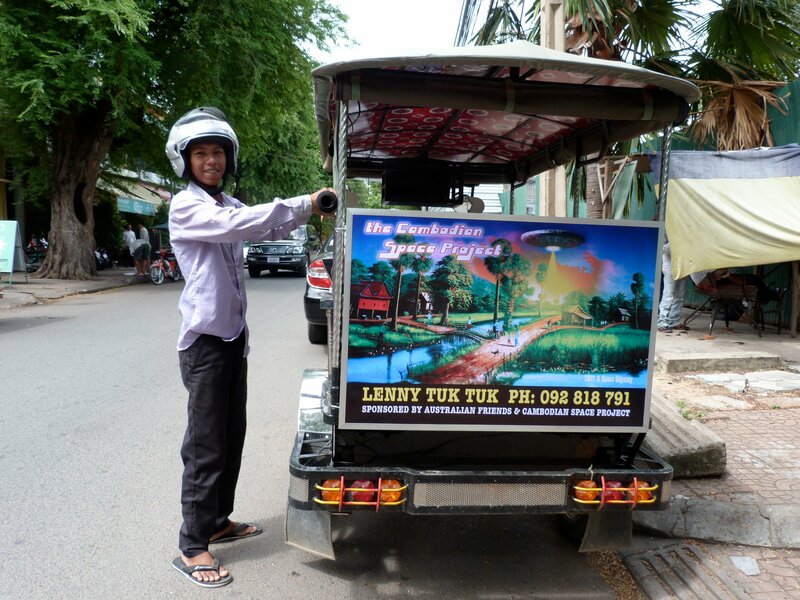 LenNy like Thy, had come in from Prey Veng province and new little about the city but he tried his best in a brand spankin’ new tuk tuk… it even had a CSP poster on the back and become our own space tuk tuk getting us and all of our musicians and equipment back and forth from gigs in Phnom Penh. LenNy with his lack of English and unfamiliarity with the city didn’t last long and the tuk tuk was soon passed on to one of Thy’s uncles. Thy and I travelled on and on and eventually counted some 24 different countries. As the interest in CSP grew along with the demand to book the band at places we’d never imagined – heck! we were even invited to perform in Timbuktu just before the place was overrun by militants – we would also be faced with the task of self-funding album recordings and touring. Expenses mounted and while we often had very good pay and conditions at major festival, we certainly weren’t earning anything from our first three albums. Direct sales at shows helped and has continued to help and support Thy’s family who’d be on hand to make a great little merchandise shop. At one point we saw that our posters – my own pop art designs printed in limited editions – would sell better and earn more for us than the music. At the end of our first year of marriage we opened a little ‘pop art’ shop in Phnom Penh called Sticky Fingers. The shop in its first location was short lived but the prints and music has continued to sell well through galleries and will now be set-up in a new Memorial shop run by Thy’s family. Sometimes we’d self-invest in our tours and album recordings and at other times expenses were offset by gig fees, grants and crowdfunding… somehow it was getting us to a place where we’d accumulated a great back catalogue and were starting to make additional income because of it. But this, as per many indie acts in the music biz, was stop and start. At first Channthy couldn’t reconcile the costs of spending money in recording studios or on the road… large amounts of cash that would be much more useful at home… “just stay at home Bong” but later, especially when she realised we weren’t making money from record sales, she was happy to invest 10k in recording our 4th LP Electric Blue Boogaloo in France and producing a great album that we owned! We’d earlier spent time in Detroit, recording Whisky Cambodia with Dennis Coffey’s studio team and at the time Thy and I were flat broke – despite an indie record label paying costs to record the album and all the musicians hired to do it, we just couldn’t afford to be there. Thy was NOT HAPPY with this, it was a huge pressure on our relationship and while I thought that a deal that gave %100 of ownership of the LP to Metal Postcard Records was a bit like those deals old Bluesmen used to be offered “hey heres some studio time and a hamburger… etc”. Still, we had a network of great friends who hosted us in Detroit and many other places around the world and made it possible for us to create amazing work. Channthy understood this well and took more control of how she worked and what she wanted to also create and right up until two days before she’d died, we had some really wonderful conversations about her ideas, my ideas and what we saw ahead – she was looking forward to a great year ahead and we were in the midst of creating new works of theatre, music and film. On our last 3-4 shows, Thy, who usually took care of band cash, helped me get by as my own expenses have been too high – we as CSP bank rolled last year’s Kampot Readers & Writers Festival when a principal sponsor pulled out at the last minute. Thy helped me to stage this event and supported by loaning her own hire equipment, paying her brother to work with my and foregoing her own gig income to help me get by. 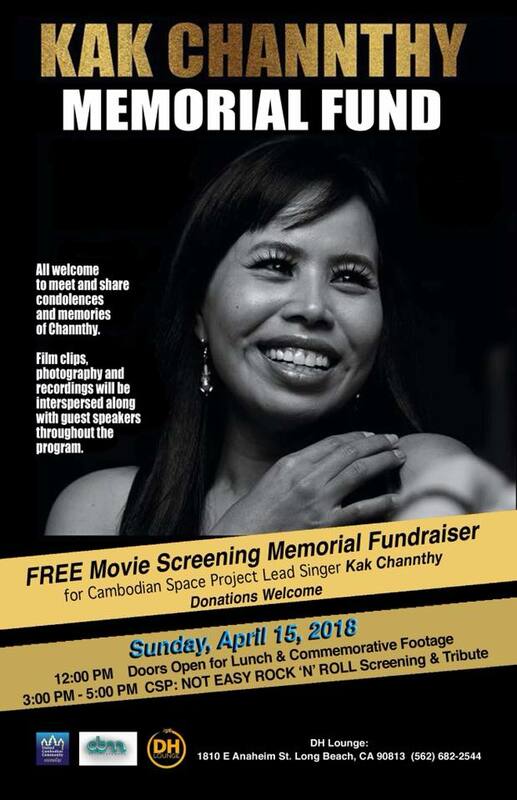 She was happy to be generous and kind and had appreciated this from so many who in turn gave to us to help us make our Cambodian Space Project dream mission possible! We had also just inked a new contract with ABC Music and I was happy about this, it put ownership of our music in our own hands but under the control of a commercial division of Australia’s national broadcaster – as good a home as you could have wanted. 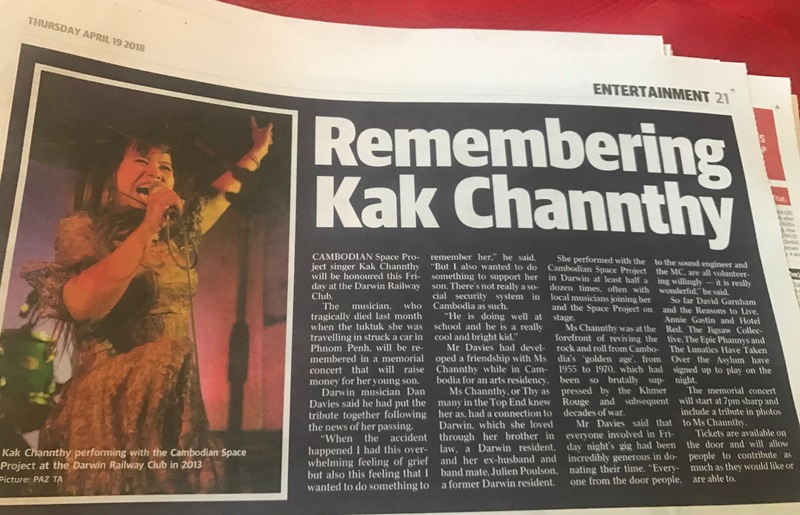 This meant we’d continue to work with Australian producers and ideas to develop new music theatre, not least a story we called Yesterday, Once More – based on the life and disappearance of Cambodian singer Poev Vannary, would happen over time and creative deliberation. Thy’s (and my own) modest estate of recorded music and imagery will no doubt continue to be something that can generate some income through sales or licensing, this is something that will be greatly needed for the ongoing support of the young family Channthy’s left behind. Her family and I are immensely proud of Channthy’s legacy and we will be continuing to work to honor Channthy’s life and all she has given us. For the next 100 days, I’ll be writing in honor of Channthy and will be doing this to encourage you to continue your own support through Kak Channthy Memorial Fund. Many people have been shocked and saddened by Channthy’s death and many have been quick to offer help, it’s hugely appreciated. I’m also aware that quite a few different ‘fundraisers for Channthy’ or ‘fundraisers to support Makara’ have been happening. Some of these I’m aware of and have attended in person but some events I’m not sure of, I’m just happy to see how moved and motivated people are and the outpouring of love and support is overwhelming. In terms of the different campaigns to support directly or indirectly, I’ve decided to simply focus on one campaign and aim for a target that will be enough to do something well-planned and sustainable. This is the money being raised via myself and our Australian team at Kak Channthy Memorial Fund. 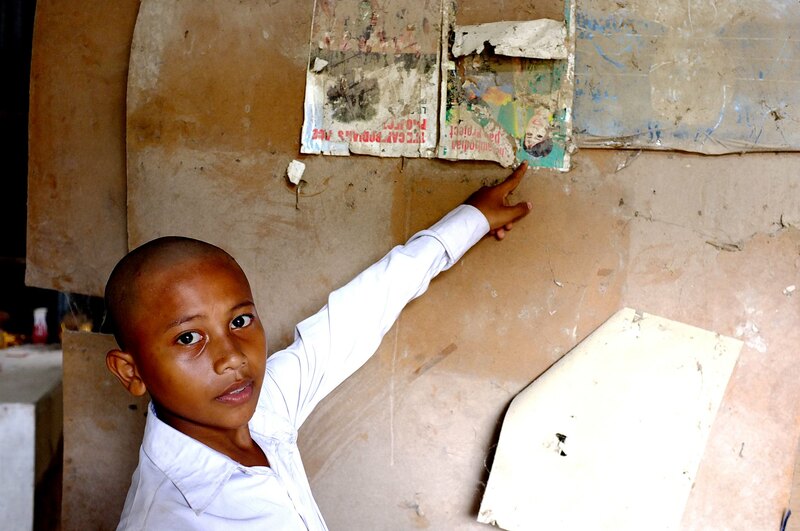 The campaign will continue on until we reach a point of closing and placing the funds into the hands of Trustees. Within 3-6months a decision will be made on the most secure and best managed way to invest the money into Channthy’s son’s future. 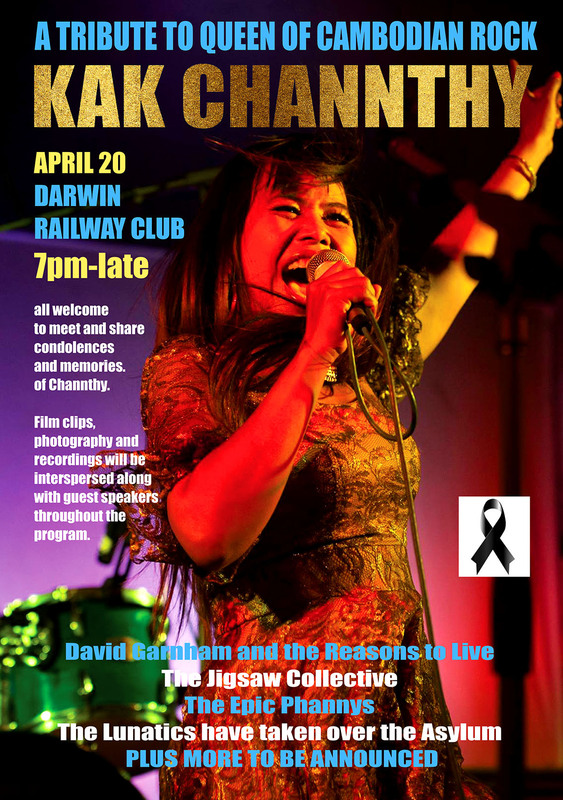 Memorial concerts and fundraisers have included Meta House, Little Red Fox, United Cambodian Commuity Long Beach, DH Lounge, Channthy Memorial at The Mansion, Channthy Memorial Concert at Darwin Railway Club and while I’m not personally involved in all os these activities, I do with thank all involved. Thy has left us with so much but there’s also so much more work to do to make sure everything that can be done is done. Watch this space for updates.